Lim Wei-Ling, owner of the gallery appreciates the historical and artistic value of old buildings. Transforming colonial shophouses into bars, cafes, budget hotels and galleries has become a trend in Kuala Lumpur for the past few years. Take for instance the ultra-chic stretch along Changkat Bukit Bintang or Jalan Doraisamy. Such a makeover was hardly seen in Brickfields… until Sept 2005. Socialite, artist and gallery owner Lim Wei Ling made her mark when she decided to open an art gallery in Brickfields. What’s unusual about the Wei Ling Gallery is not only its curious location, but also Wei Ling’s decision to refurbish a damaged and old structure. The colonial shophouse, which was her father’s office for a number of years, was burnt down in 2004. The second and third floors were reduced to ashes. 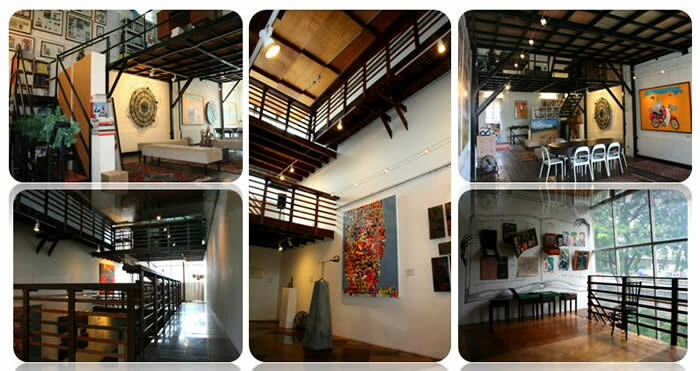 Despite that, the beautiful gallery owner and her architect father saw a fabulous opportunity to turn the fire-razed shophouse into a modern gallery. Almost five years after its opening, Wei Ling’s gallery remains one of Kuala Lumpur’s chicest galleries despite being located at one of the roughest areas in the city. The beautiful building it occupies is still the talk of the town today. And if the number of exhibitions held at a gallery is any indication of its success, then the Wei Ling Gallery is definitely one of the most successful galleries in town. Colonial shophouses are quintessentially Southeast Asian as it has Oriental influences such as the internal courtyard. Its unique 19th century architecture easily accommodates a business on the ground floor. The shophouse that houses Wei Ling Gallery has a typical colonial structure and is a little over 19 feet wide with living quarters built on its second and third floors. Back in 2004, the building burnt to the ground and a spacious vertical void was all that was left of the upper floors. Wei Ling’s family was devastated. “As I stood in that structure, looking up at the lofty ceiling, I made a comment to my dad that this place would make a really beautiful gallery,” says Wei Ling, who at that time was running a gallery in Bangsar called Townhouse Gallery. The gallery is set up to promote local contemporary art to the public. “To my surprise, my dad liked the idea and suggested that he would build a gallery here for me. I guess it was therapeutic for our family to rebuild the building,” she adds. Wei Ling’s father is internationally-acclaimed architect Jimmy Lim, who still runs his office on the ground floor of the gallery. Many consider Wei Ling Gallery a work of art as it was resurrected from the gutted ruins of a razed structure. Today, the gallery stands with pride, character and style that is both classic and elegant. The handsome exterior of the building is impressive, but its inside is even more remarkable. 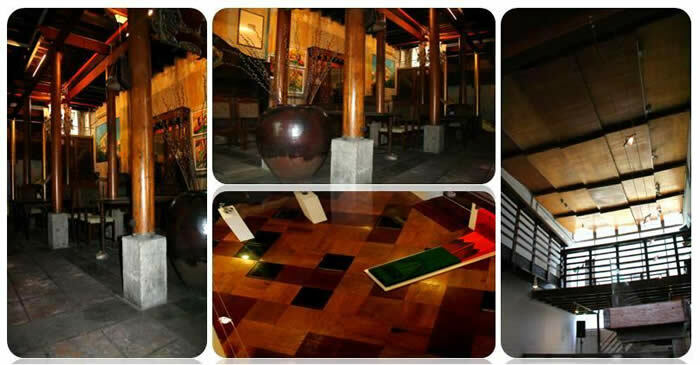 The ground floor has an antique warehouse ambience as colonial-era trinkets line the walls. A flight of stairs towards the back of the building leads to the upper floors, where the exhibition space is located. The multi-leveled space mainly consists of wide glass panels, whitewashed walls and wooden plank flooring. Yes, Wei Ling Gallery is a breathtaking concept that successfully marries modern architecture with its historical structure. 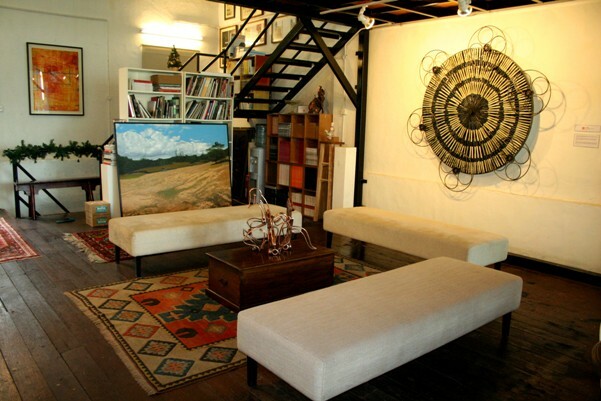 Wei-Ling Gallery, which was resurrected from the gutted ruined of a razed structure, currently stands with pride as the chicest gallery in town. Fragments of the charred beams are preserved and can be seen peeking out among the newly-laid rafters. This lends a quaint charm to the place as visitors are able to see some of the remains from the fire. Wei Ling considers herself very lucky to have her father design the gallery and cherishes the healthy mix of history, eccentricity and artistry of the building. “Way before it became a trend to refurbish colonial shophouses in KL, my father has had offices in Changkat Bukit Bintang! His dedication to heritage building conservation and adaptive reuse is innate,” Wei Ling says. “We mustn’t throw our past away. If we can find a balance between the old and the new, then we can appreciate the historical and artistic value of old buildings, which is obviously lacking in KL. Who knows, one day, Brickfields will become ‘trendy’ too,” she adds. Wei-Ling Gallery is a must see not only as an example of form meeting substance but also for their upcoming event entitled ‘The Tiger Show’ on 3 February. “This event is organized in line with the year of Tiger in the Chinese Zodiac Calender in 2010, with no conotation to the ‘tiger show’ performances originated from Thailand,” says Wei Ling with a chuckle. ‘The Tiger Show’ will be a thematic exhibition where artists showcase their individual interpretations towards tiger. Some of the participating artists are Yusof Ghani, Marvin Chan and Justin Lim.